Cate & Chloe is a monthly jewelry subscription box. Each month their stylists will pick a few of the most popular styles to send to you – these styles could include earrings, bracelets, bangles, necklaces and more to keep you up to date on the latest jewelry trends. Cate & Chloe sent us this box to review. (Check out the review process post to learn more about how we review boxes). This review is of the Full VIP Status, $39.99 a month, box. The Products: three pieces of jewelry and one bonus item each month. Each box contains an insert listing the box contents. This month, I received two pairs of earrings, a necklace, and a lip oil. The second card features the theme for the month, “New Year, New You” as well as a little note from Cate & Chloe. The back of the card tells about the VIP Perk of the month – lip oil! I think that lip oil was my greatest subscription box find of 2018. I didn’t know that I needed it, and now am addicted to it! I was excited to get another full-size oil. This tube contains 100% pure plant oils and can be worn basically every which way – alone, on top of lipstick, for hydration, or as a base for any lip product (here’s looking at you, drying matte formulas)! I personally like it to protect and nourish my lips first thing in the morning, especially on these cold, January Pittsburgh days! It’s noteworthy that each of the pieces come in a little-branded box – making each piece giftable if you have a special friend, occasion, or receive a piece you just don’t love! These are lovely little drops, perfect for Valentine’s day! Boasting AAA quality CZ crystal stones and a brass base plated with 18k white gold, they are lightweight and comfortable to wear all day. I love the lever backs (so I don’t lose them!) – they do feel to be good quality, but I do feel that the retail price of $150 is probably more than I would pay for these on their own. These are eye-catching, for sure! I’m a big fan of a large, crystal stud – so this is right up my ally. These little beauties almost look like starburst to me, and you could definitely dress them up or down! Following the heart theme in a complimentary way, the final piece is an adorable little 18k white gold-plated double heart necklace with pave CZ crystals on the outer heart. Funny story, when my husband and I started dating over a decade ago, he bought me a very similar necklace that I’ve always cherished. I love the subtle sparkle that the pave crystals add, and with the pendant about ½” set on an 18″ chain, it’s perfect for everyday wear. In this photo, I have on the star earrings, the necklace, and the lip oil. Definitely, a cute everyday look that you could take from day to night! Verdict: This was my second Cate & Chloe experience and I was happy with it. I think that given the time of year, this was a perfect gift to get – and to give! I plan to keep the earrings but am going to gift the necklace to my little niece since I have one similar already. She will absolutely love it! Since everything is crystal and white gold, you can mix and match easily and I’m hard-pressed to think of an outfit that I couldn’t tie at least one of these pieces into. I think that the retail prices on the website are a bit inflated – but that said the least expensive items and sale prices range $20-$50. Any way you slice it, especially when factor in the lip oil, you will exceed the cost of the subscription. I think the value is there. Can you still get this box if you sign up today? No, you will receive the February box. Any order placed from the 1st to the 4th day of the month will be shipped that month. All orders placed from the 5th to 31st of a given month will be shipped out on the first of the following month. Value Breakdown: At $39.99 for this box, I received three pieces of jewelry – so the cost per item is $13.33. I think this is a great value and any one of these pieces would retail for more than that amount. Check out all of our Cate & Chloe reviews and the Women’s Subscription Box Directory for more clothing and accessory boxes! 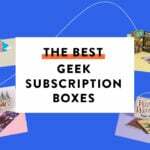 Keep Track of Your Subscriptions: Add this box to your Wish List or Subscription List! How did you like this month’s Cate & Chloe VIP box? How do subscribers rate Cate & Chloe VIP? Do you subscribe to Cate & Chloe VIP? Add your rating now! HI Colette. Can you tell me the ml/grams in the lip oil? $24 is steep in price and was wondering how big it is. That is my new favorite item.